The design team at Laguna knows the best and most cost efficient way to incorporate all the outdoor living elements you desire without installing them all at once is by developing a master plan. 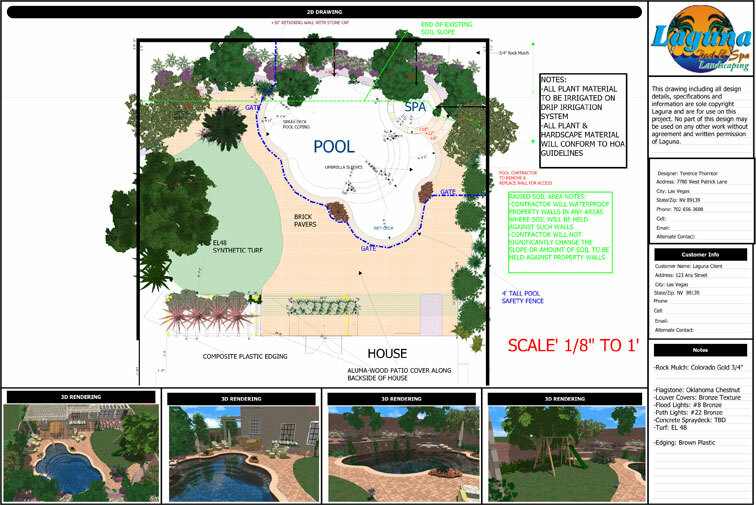 Creating and implementing a master plan is a multifaceted endeavor in which the design encompasses all the features and elements you need and want in your outdoor space and a production schedule for installation in phases. By pre-planning for future additions, you save time and money on multiple permits, electrical and gas runs and concrete pours for example. We have the expertise and vision to create an overall master plan to make the outdoor living environment of your dreams a reality.